If you’re a fan of the globally successful Korean boyband BTS, then you would be familiar with their unique LINE characters aptly named BT21. Created by the septet themselves in a collaboration with LINE Friends – RJ, Shooky, Mang, Koya, Chimmy, Tata and Cooky – these characters bear distinctive traits representative of each member with the exception of the ambiguous guardian, Van. Personally conceptualised and designed by the boys, they now serve as the group’s alter-ego which fans have embraced wholeheartedly, if not similarly to their real-live idols on stage. Since its launch, the eight BT21 characters have garnered over more than 2.5 million followers across its official social media platforms, with their products becoming one of the most sought-after collection within LINE stores in Korea. 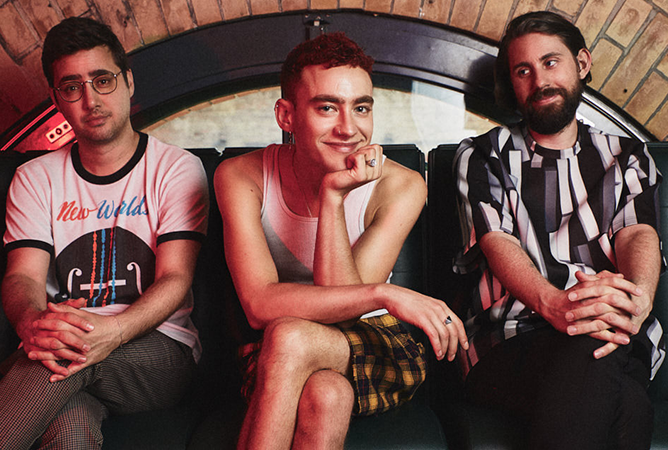 As a result of their immense popularity, it is no surprise to see other brands lining up for a collaborative opportunity with these loveable icons. From clothing to food and even beauty brands, here’s our list of BT21 collaborations that every dedicated ARMY should know. 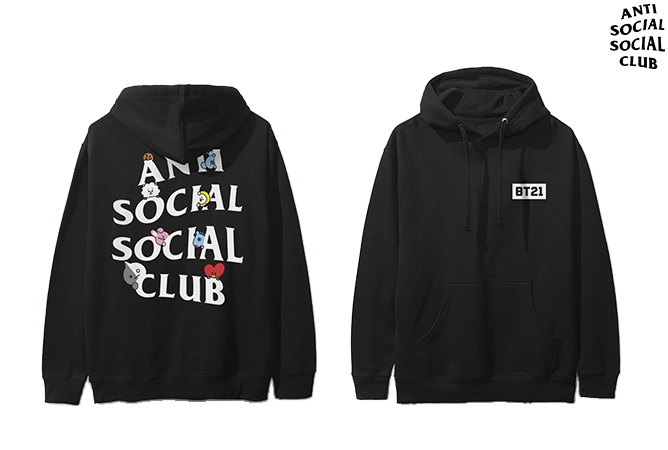 As one of BT21’s major partnerships, the Anti Social Social Club collection included 50 pieces in total which offered a range of T-shirts, hoodies and hats that featured the iconic streetwear brand’s logo alongside the characters, as well as exclusively designed BT21 branded items. 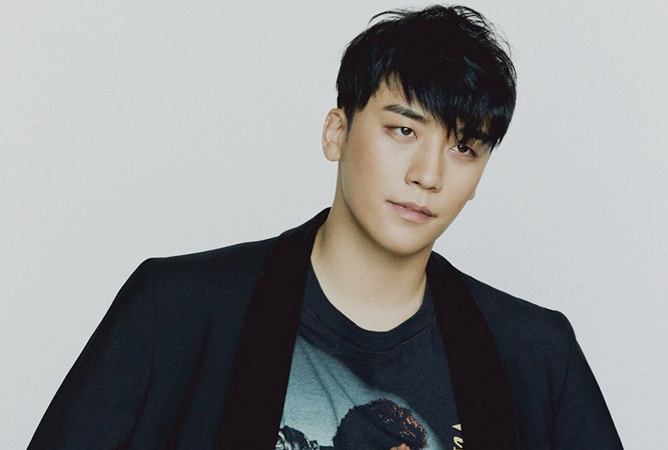 Though the highly-anticipated collaboration was made available globally in mid-November last year, it didn’t take long for all the pieces to get snapped up within the same day of its launch! Given the popularity of these characters, it’s only natural that they’d eventually be turned into Instagrammable dishes found in a themed cafe. 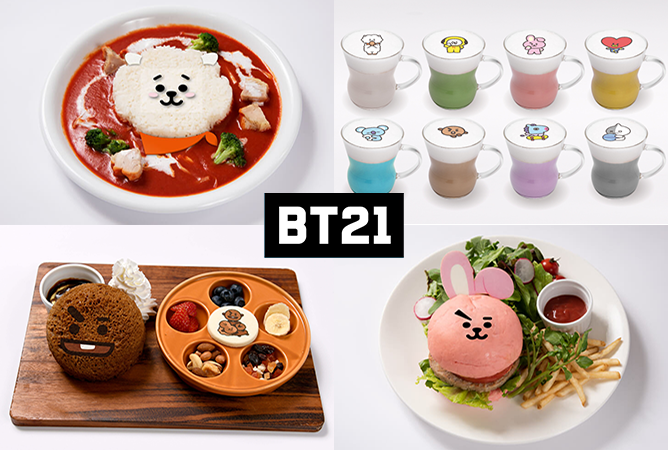 Only available in Japan, the BT21 pop-up cafe by LINE Friends serves up deliciously delightful grub and beverages alongside exclusive character merchandise inspired by the group. Unfortunately, due to the expected overwhelming response, walk-ins are not permitted and only online reservations through their Japanese portal are guaranteed a seating. So if you’re planning to visit Japan for a holiday and would like to spend an hour or two at this foodie haven, get Google translate ready to book your table! In a nationwide promotion, the largest multiplex Korean cinema chain CGV had collaborated with the characters to launch the BT21 Special Pack and BT21 Combo – which were made available to cinema-goers in mid-September last year. The pack and combo each consisted of a BT21 passport as well as a BT21 character cup, which came with a cute topper that also functioned as a stamp. 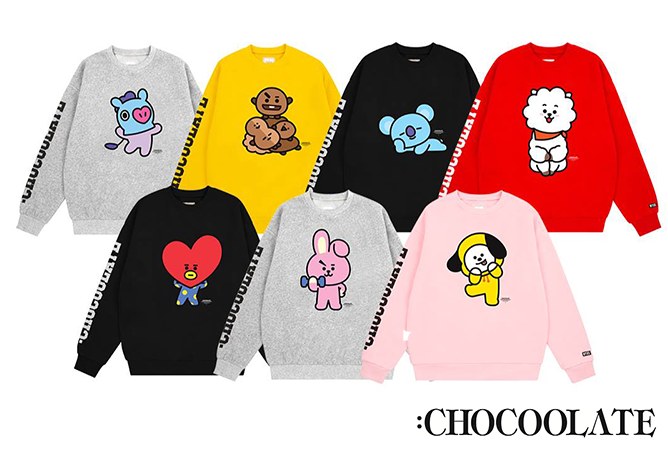 Widely known for their cute collaborations with animated personalities, Hong Kong fashion label :CHOCOOLATE unveiled their BT21 collection in Singapore late last year which featured sweaters, hoodies, hats and T-shirts printed with the cheery characters. Needless to say, the launch was met with explosive demand as excited fans queued and waited for the store to open before sweeping up the entire range in less than a few hours! In their very first collaboration of 2018 borne of a possible foreshadowing from BTS’ 2016 track ‘Converse High’, their cartoon alter-egos teamed up with Converse to create three limited edition designs that celebrated personal style and individuality. 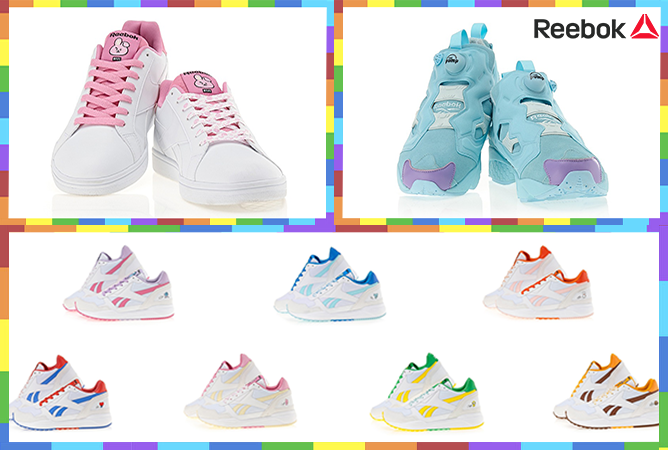 Only made available in Korea, China Taiwan and Hong Kong, the exclusive collection included all three variants in white or coloured prints of the characters with a set of blue and yellow shoelaces. 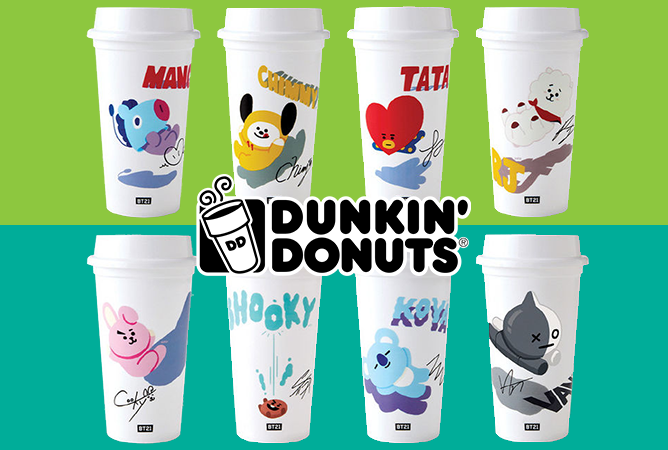 In early February 2018, BT21 partnered with renowned donut chain Dunkin’ Donuts in Korea to produce themed donuts, souvenir to-go cups and reusable tumblers that were undoubtedly met with resounding support which saw the special items getting sold out within minutes! Oppas and donuts, what’s not to love? Slightly similar to our Giant supermarkets, Homeplus is Korea’s answer to a one-stop hypermarket chain that sells everything from household items to groceries. 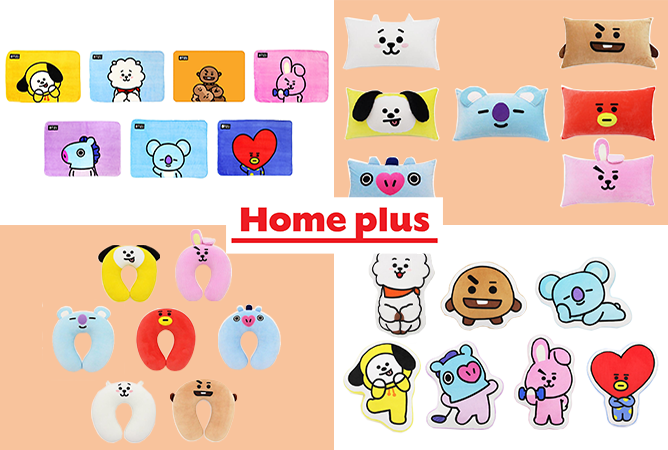 Riding on the BT21 bandwagon, Homeplus produced over 49 household items which consisted of cushions, blankets and slippers for fans to collect. Unlike most collaborations, the collection at Homeplus were only sold for a certain time period and at designated branches nationwide. It is now possible to proudly display your love for the quirky BT21 characters, even when you get ready for bed! 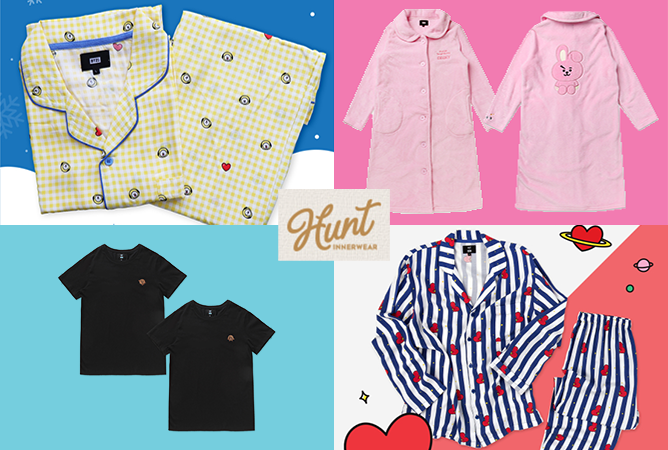 Korean homewear brand Hunt Innerwear has teamed up with BT21 to create a range of comfy pyjamas in various designs that you might have already seen on the members of BTS. 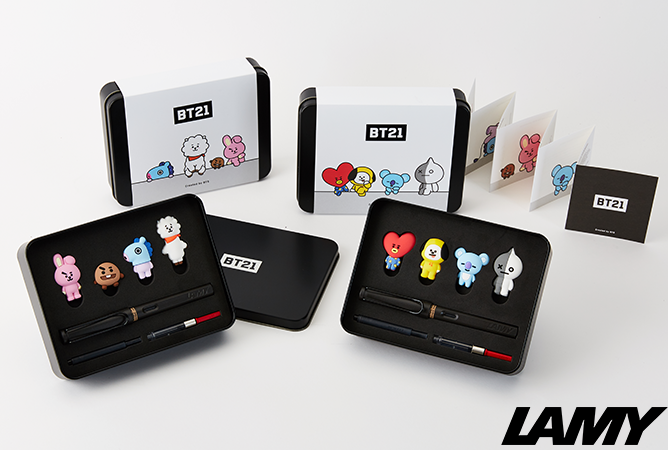 Known for producing fountain pens, LAMY is probably one of the more unique collaborators that BT21 has joined forces with thus far. Available in two different sets, each comes with a fountain pen and four characters which you can clip onto the pen cover. Unfortunately, the set isn’t sold online and can only be bought physically from the LINE Friends store in selected countries and cities. If you’re looking to get started on your BT21 collection, the LINE Friends store would obviously be the first place to visit. Home to a wide variety of products ranging from wearables to tech gadgets and household items, it’s the perfect place to stock up on items that meet your daily needs while looking too cute to boot! 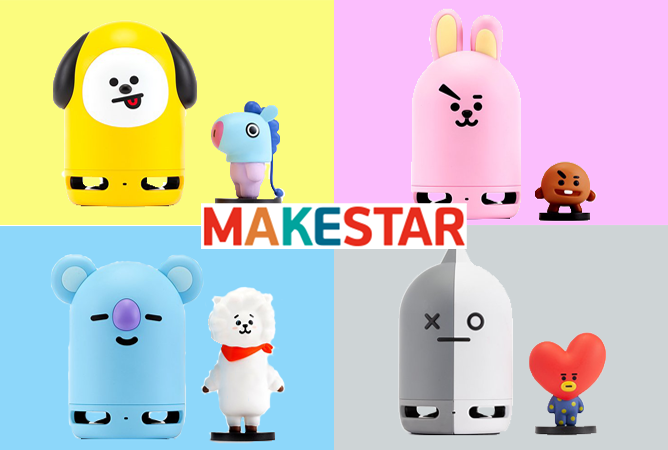 In a worldwide exclusive collaboration, Makestar and BT21 have come together to produce the BT21 Friends Duo Bluetooth Speaker which is paired with a limited edition character figurine. Similar to the concept of crowd-funding platforms such as Kickstarter, Makestar allows interested buyers to pre-order the item through making a pledge (the price of the speaker set) to the project. But when the project ends, so does the opportunity to purchase the item. 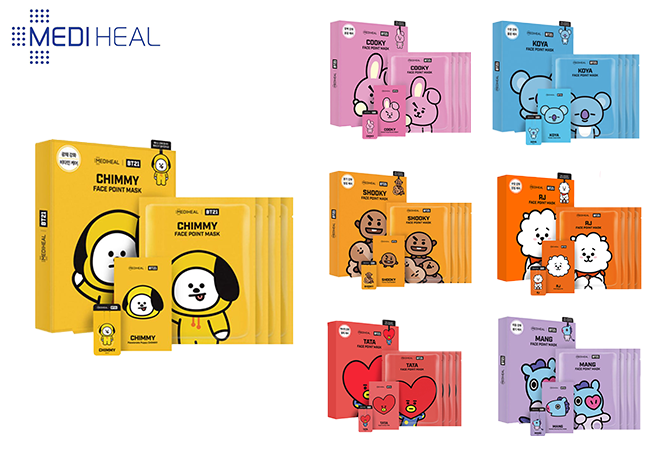 When you think of masks, you’re most likely envisioning a full-face character beauty mask but you might be surprised to know that MediHeal’s BT21 Face Point Mask actually comes in patches instead of your regular facial sheets – the idea is to allow users to target the problem areas easily without unnecessarily covering the entire face. The collection features seven different mask types that address various skin issues and comes packed with four sheets, a postcard and a bookmark. You can never get enough of stationery essentials, and the collaboration with Korean lifestyle brand Monopoly is one reason why. 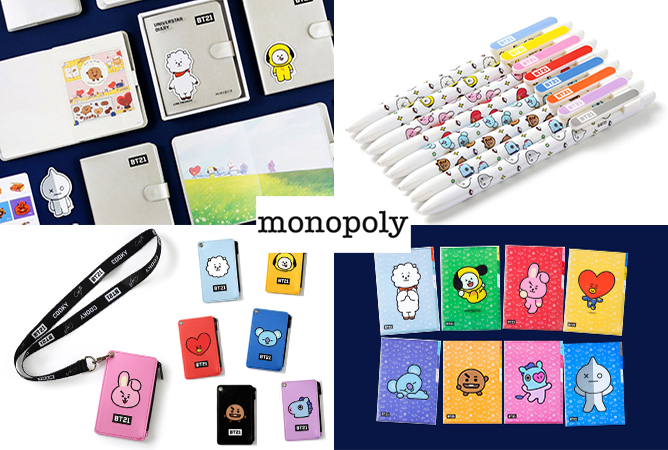 Colourful and bright, the items from their BT21 collection feature the characters on useful items such as pens, bags, diaries and even specialised pouches that carry just cables. 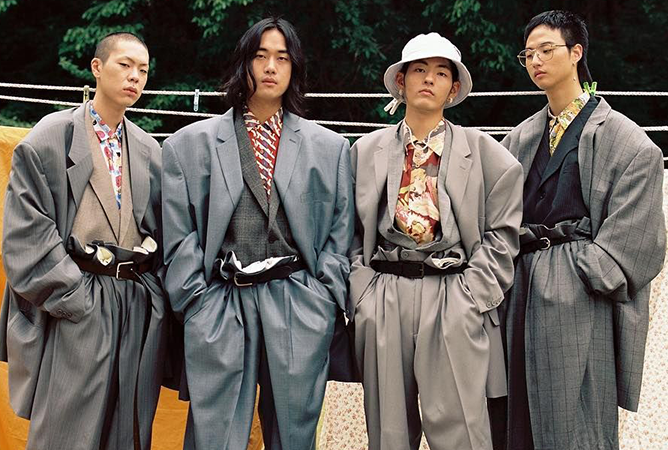 Now, who says you have to sacrifice functionality for style? 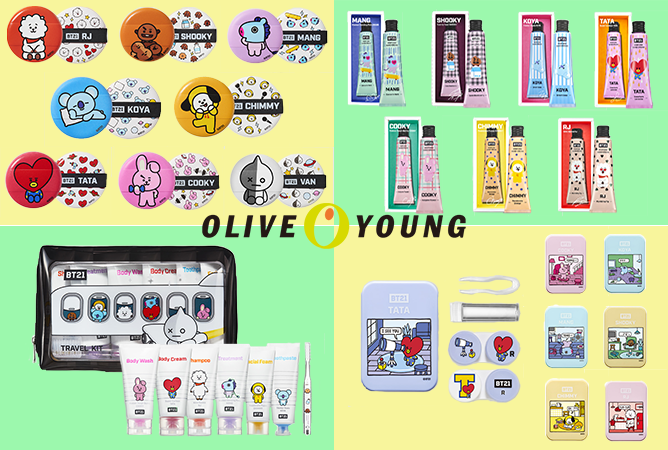 Much like how our local Guardian and Watsons function, Olive Young is the Korean equivalent that has collaborated with BT21 to come up with daily lifestyle products such as hand cream, scented mist, makeup puffs and contact lenses kits which are exclusive to the brand alone. 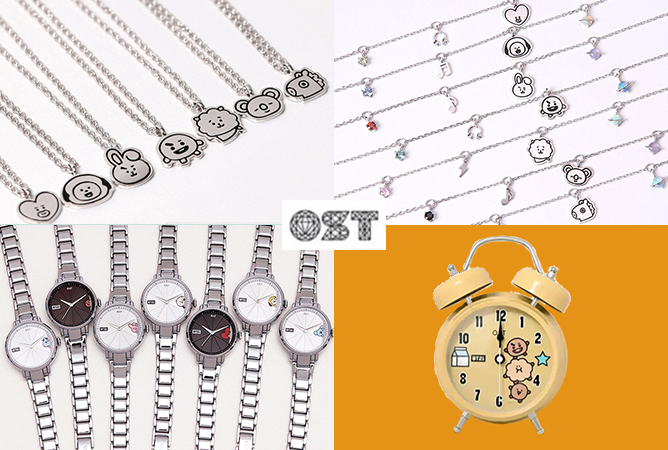 Featuring watches, bracelets, necklaces, earrings and clocks, BT21’s latest tie-up with Korean accessories brand OST will give fans a chance to add an inconspicuous representation of their favourite member into their everyday outfits. 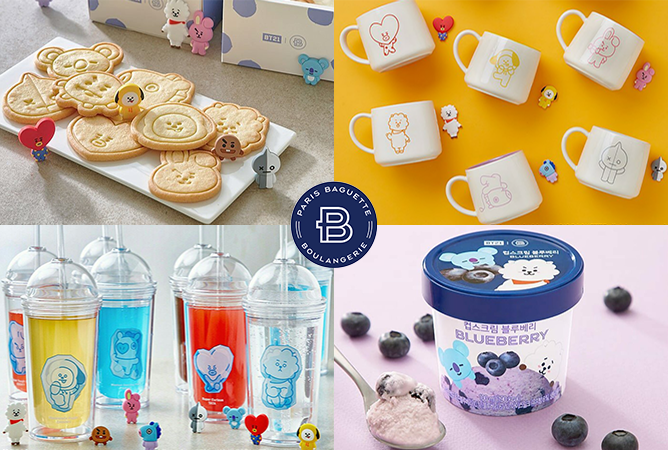 Apart from baking delicious breads and cakes, Paris Baguette also participated in a special collaboration with BT21 to whip up exclusive cookies, ice cream and merchandise for fans to indulge in. 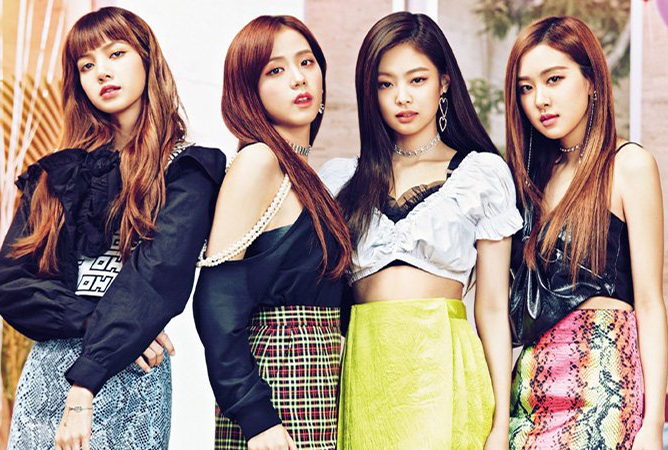 Although only available in Korea during their first launch, the brand did express interest in continuing the partnership in the future – and we’re certainly hoping that they’d bring it to their international outlets, including the ones here in Singapore! Exclusively available only in Korea, Reebok has paired up with BT21 to create three different sneaker series – namely the Royal Complete 2LCS, Royal Bridge 2.0 and Instapump Fury – that have been purposefully crafted with the representing print and colours of each character. These rad kicks will entice not just fans, but also curious sneakerheads! 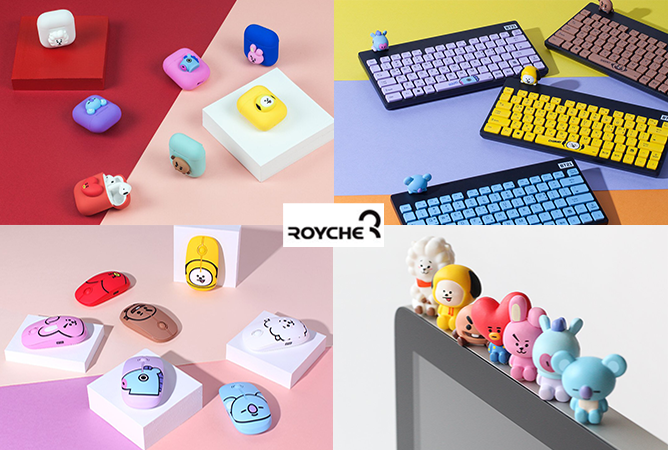 Thinking of giving your desktop computer a BT21 makeover? Royche has you covered with character-themed keyboards, mouse and monitor figures – in surprisingly affordable prices! In keeping up with the latest tech trends, the brand has also recently launched a collection of silicone casings for Apple AirPods which aim to offer optimum protection from scratches and accidental drops. Well, guess it’s time for us to invest in some AirPods. 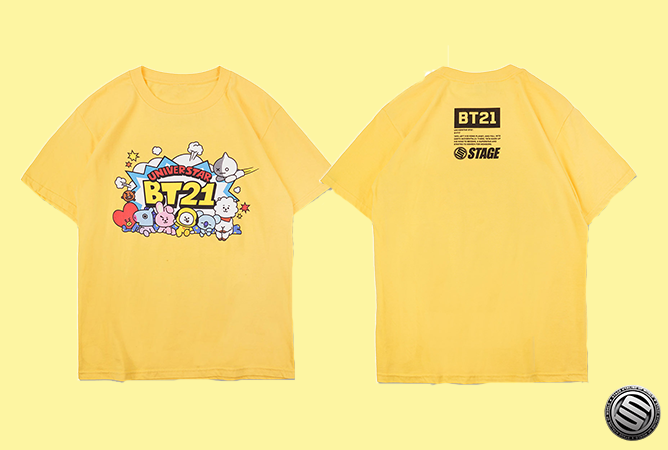 Widening their global reach, BT21 has recently partnered up with Taiwanese clothing brand STAGE (formerly co-owned by pop star Show Luo) to launch an apparel collection comprising hoodies and T-shirts for the avid BT21 collector. 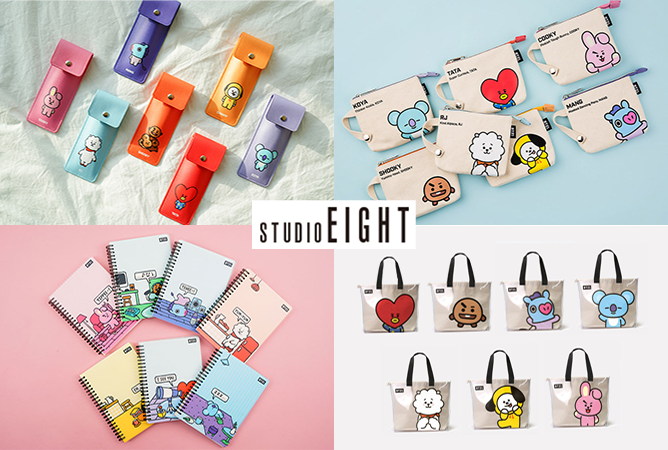 If you’ve seen the surprise collection of BT21 items at our very own Popular bookstores, you might already be familiar with the collaborative products from Studio Eight. On top of the notebooks, bags and pencil cases, the label has recently unveiled their selection of character-themed fabric pouches which might just find their way to your nearest Popular store soon! 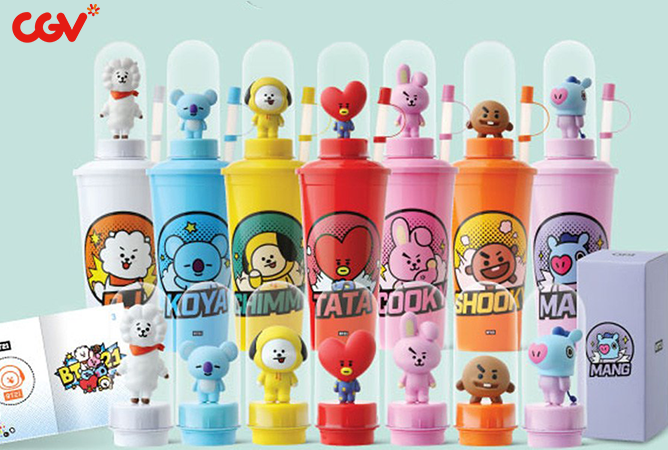 It’s impossible to miss out on a collaboration that will resonate with female fans, especially when our favourite BT21 characters are paired with makeup products. 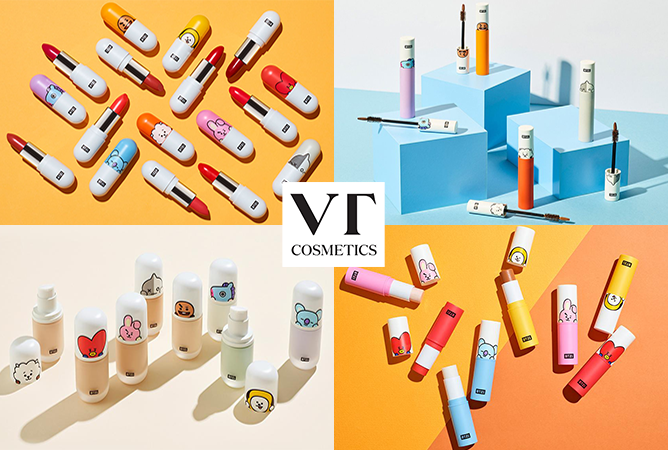 The VT Cosmetics collection covers beauty must-haves from facial washes to foundations and lipsticks, which makes for the perfect excuse to keep your stash growing. The K-beauty brand has also set up an outlet in Singapore located at Plaza Singapura, so you can head over for your BT21 fix anytime! 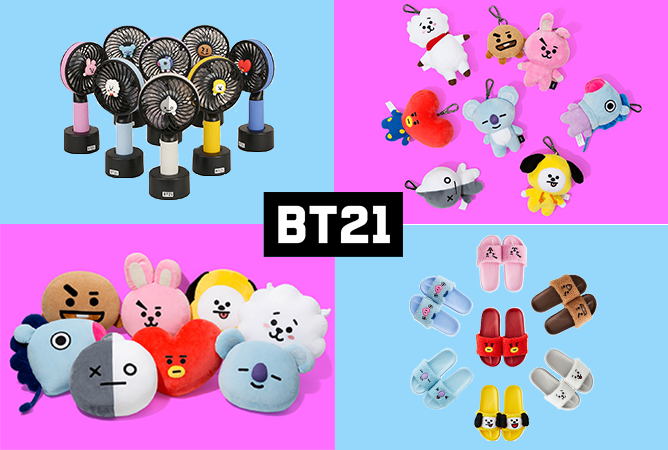 How many of these BT21 products do you currently own? Let us know in the comments below! In the blink of an eye, we’re three months into the year – but the events continue to come in thick and fast. From throwback concerts to art festivals galore, here’s a definitive list of what you should go for in March. Remember Blue? It has been eight long years, but the British boyband finally came through with their long-awaited concert at [email protected] Box! 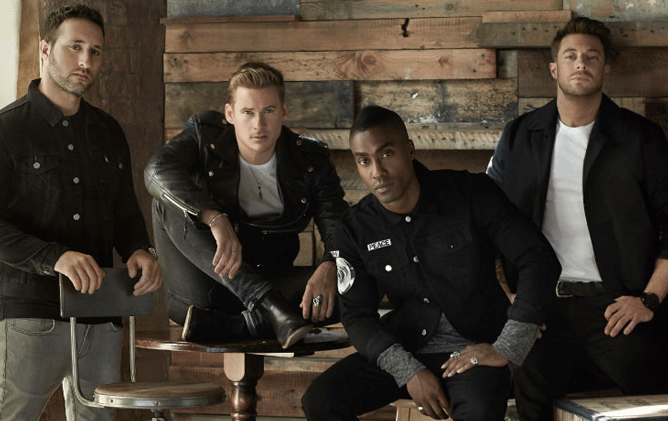 Experience nostalgia at its finest as the legendary four-piece sends fans back to the early-Noughties with their extensive catalog of smash hits such as ‘All Rise’, ‘One Love’ and ‘Guilty’. 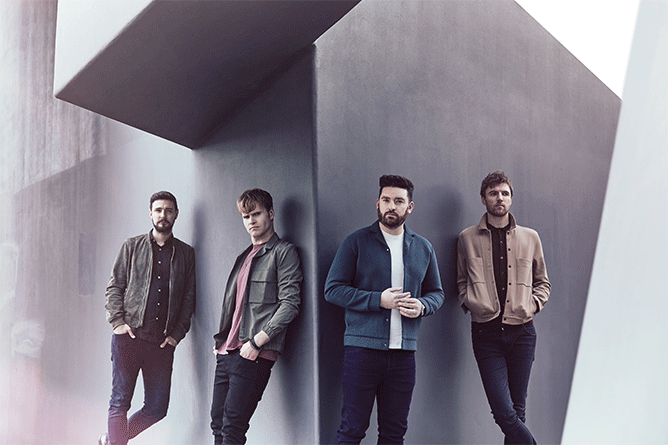 After dropping their third full-length album Politics of Living at the end of 2018, Irish band Kodaline has embarked on a world tour to promote their latest effort – with a stop in Singapore, marking their return to our shores nearly five years since their last gig here. Rock out with the quartet to tracks such as ‘All I Want’, ‘Love Like This’ and ‘Follow Your Fire’ in what’s sure to be a night to remember. 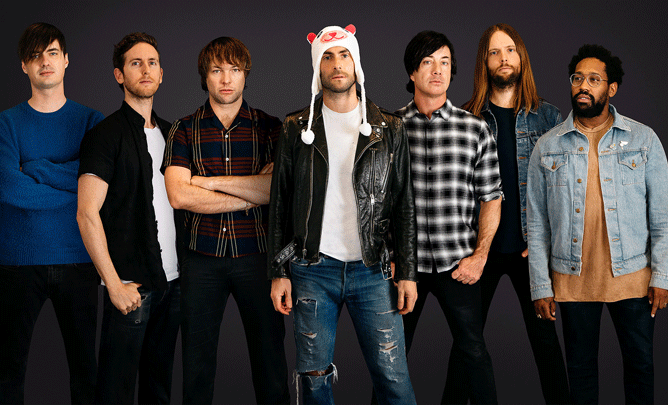 Fans of Maroon 5, the wait is almost over: the American pop rock band’s one-night-only National Stadium concert is just around the corner! 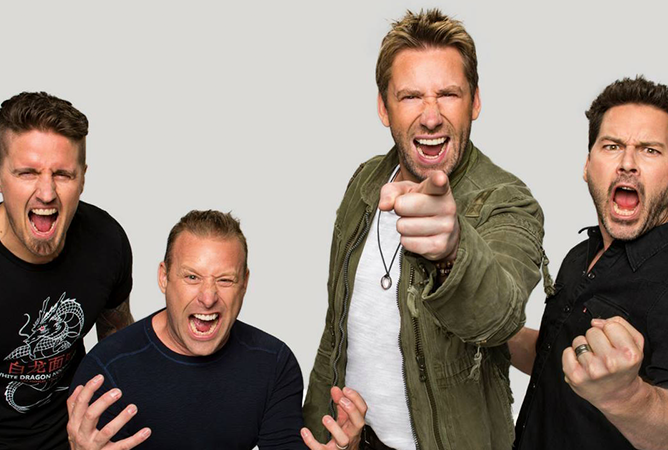 Led by charismatic frontman Adam Levine, get ready to be enthralled by Maroon 5’s larger-than-life performances as they bring their award-winning discography to the stage. 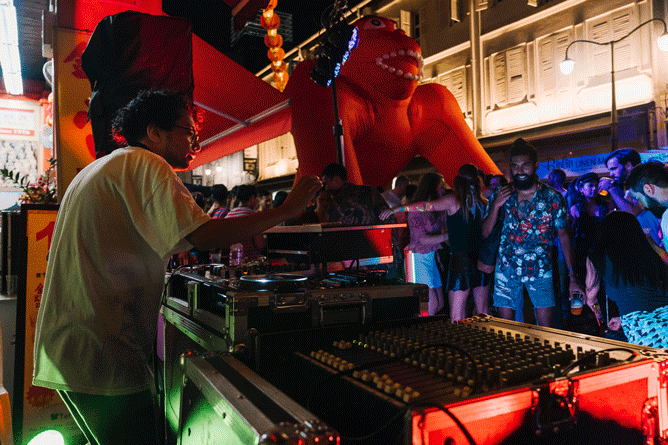 After a well-received first run last year, The Arts House and #BuySinglit are joining forces once again for Textures 2019. 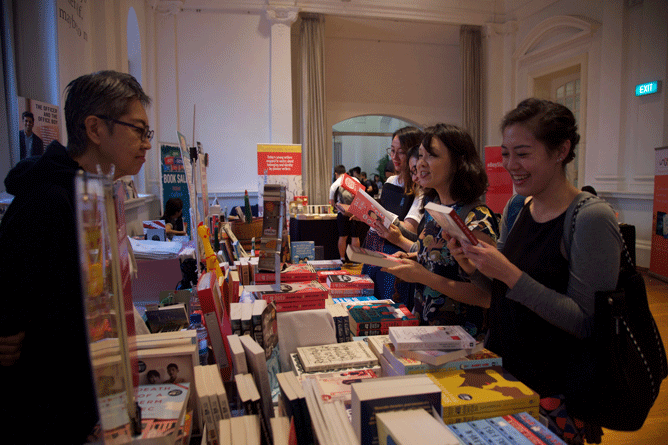 A celebration of local literature with the theme of ‘Love and Loss (and some things in between)’, avid wordsmiths can enjoy an exciting lineup of performances, workshops and even a book fair, all while discovering Singapore’s budding literature scene. Admission is free unless otherwise stated. Visit The Arts House for more information. 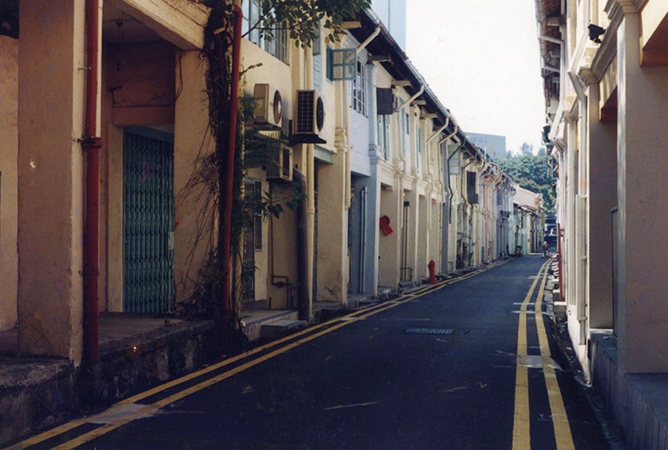 Before Bukit Pasoh Road became the gentrified, hipster road of cafes we know today, it was home to many of Singapore’s age-old clans as well as a thriving community of creatives. 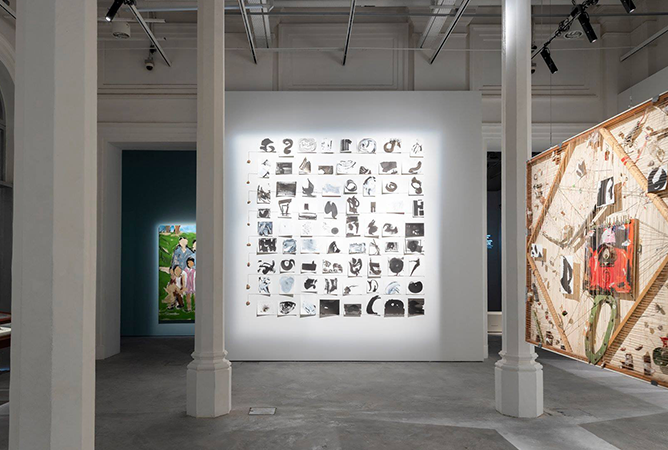 Held in conjunction with Singapore Design Week 2019, Street of Clans allows visitors a sneak peek into some of these clans’ homes where design installations, workshops and artist takeovers tell of stories past. Admission is free. 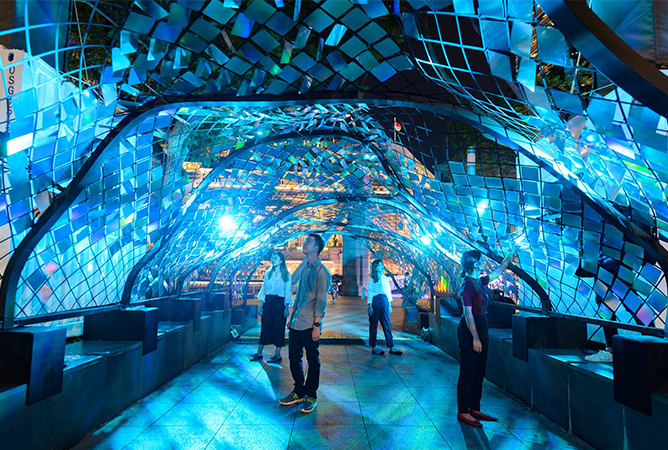 Visit Singapore Design Week for more information. Music and sustainability come together for a day of all-around good vibes at Garden Beats Festival. 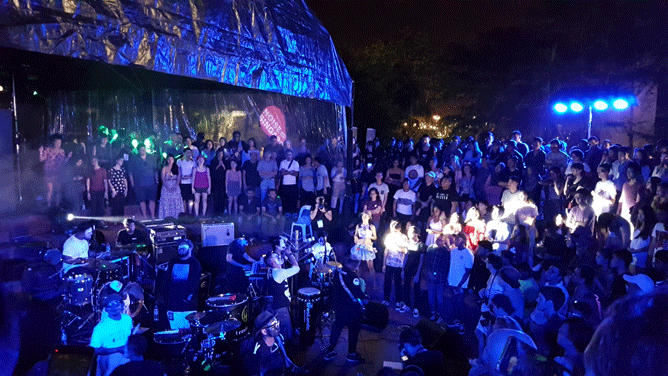 Taking place at Fort Canning Green, the fifth edition of this eco-friendly event features back-to-back music sets by both local and international artistes alongside a series of talks by champions of sustainable lifestyles. 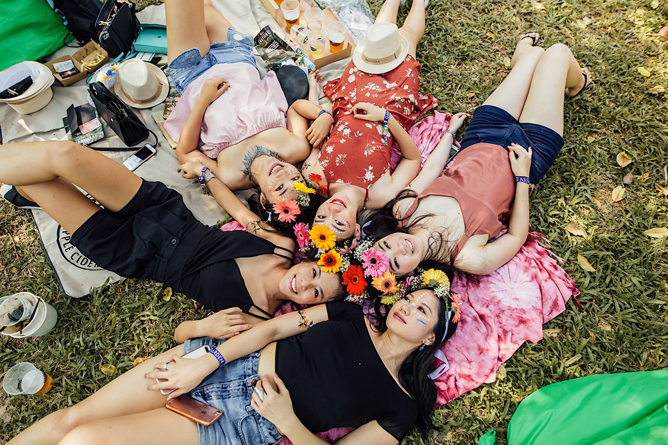 Don’t forget to pack your own picnic baskets for a party at the Picnic Fields, or pop by the Culinary Fields to grab some mouthwatering treats to keep your tummy happy throughout the fest! Tickets from $98, visit Garden Beats Festival for more information. 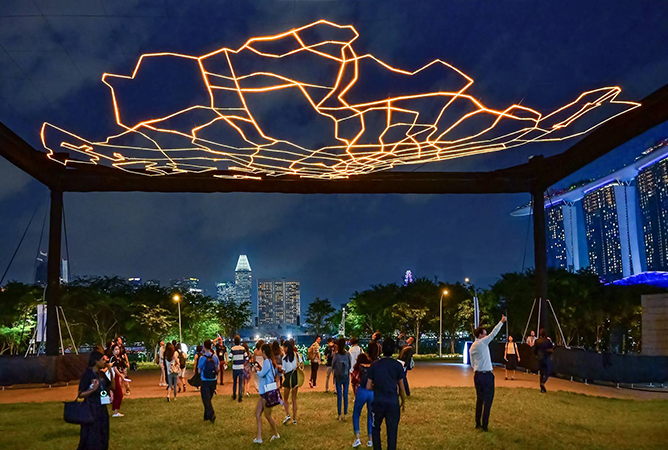 Rounding off Singapore Design Week 2019 with a bang, we have the Singapore Urban Design Festival which promises you a vibrant weekend of live entertainment, delicious grub and fun-filled workshops. From quad skating on the rooftop of a carpark to getting crafty in hands-on activities, there’s a little something for everyone over four days of wholesome fun. Tickets from $10, visit Singapore Urban Design Festival for more information. 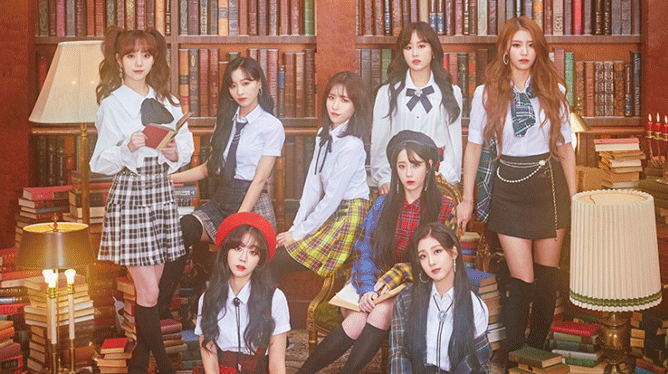 Rising K-pop girl group Lovelyz will be making their Singapore concert debut this March with their Lovelyz 3 of Winter World tour. Charming the socks off Lovelinus with their bubblegum pop flavour, expect to be dazzled by infectious tunes such as ‘Candy Jelly Love’, ‘Now We’ and ‘Lost N Found’. Fans with category one and above tickets have a guaranteed high-touch with the girls and all ticket holders stand a chance to win exclusive posters and polaroids – what more can you ask for? 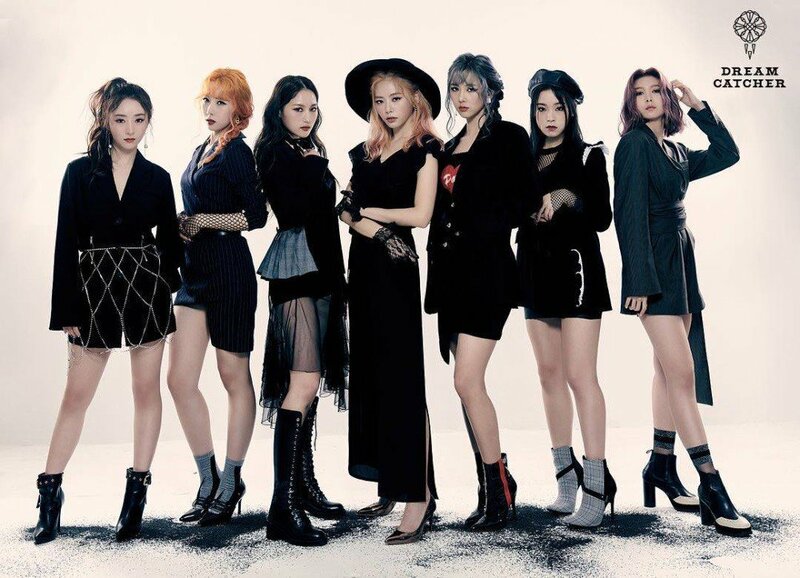 After a short stint at HallyuPopFest last year, the mysterious ladies of Dreamcatcher will be returning to Singapore for a full-fledged concert as part of their Southeast Asian Tour, Invitation from Nightmare City. Set to thrill fans with their unique mix of horror-esque themes and rock-pop music, you’re in for a mesmerising night with numbers like ‘Chase Me’, ‘Fly High’ and their recently-released single ‘Piri’. 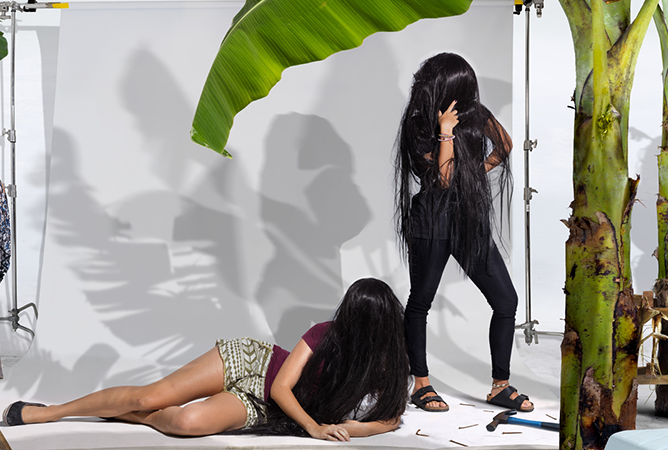 Noise Invasion Festival takes centre stage in an urban setting this year, as experimental art performances and installations head to Parklane Shopping Mall’s level 8 car park. 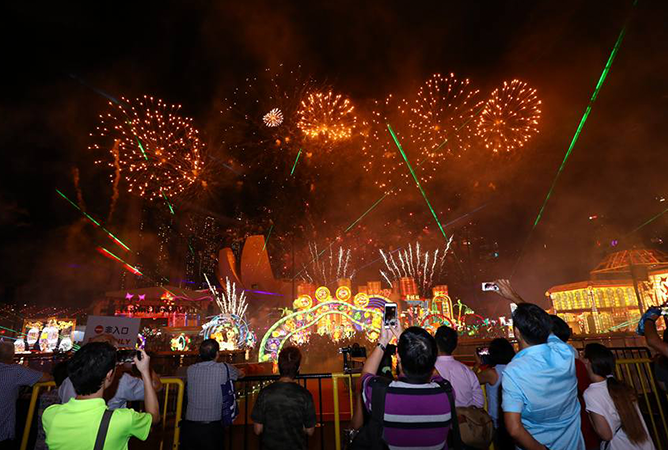 Interactive exhibitions, live music and a vintage streetwear and art market await guests looking to soak up the atmosphere on site, while others can participate in online conversations and watch the proceedings through a festival live stream from the comfort of their home. Admission is free. Visit Noise Singapore for more information. 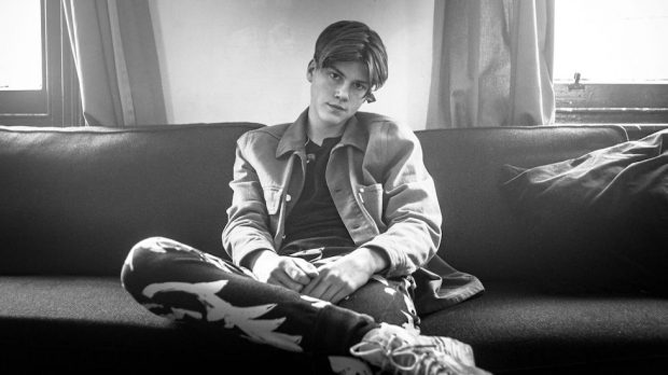 Named as one of the prominent breakout acts to look out for, up-and-coming star Ruel will be in town for his debut concert. Watch as the singer-songwriter enthral the crowd with singles like ‘Don’t Tell Me’ and ‘Younger’, as well as the song that netted him the ARIA award, ‘Dazed and Confused’. 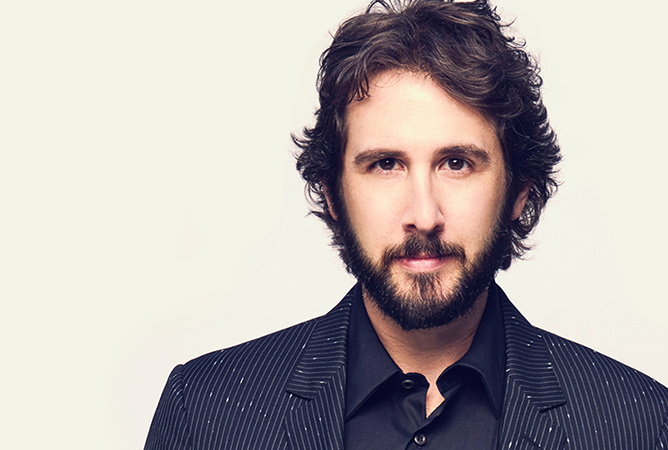 Tickets from $88, visit Live Nation for more information. English singer-songwriter and piano sensation Tom Odell will be returning to familiar stomping grounds (he was last in Singapore six years ago) for a rollercoaster mix of sweeping melodies and emotional lyrics. For one night only, immerse yourselves in heartfelt crooning of various tracks from his albums Long Way Down, Wrong Crowd and Jubilee Road. Tickets from $98, visit Live Nation for more information. Anime fans, mark your calendars – Sakura Matsuri: Anime Garden is back for its sophomore run! Held at the picturesque Meadow at Gardens by the Bay, indulge in two days of cosplay showcases, summer festival games and a Japanese-themed food bazaar. Come nightfall, bask under the beautifully lit Supertrees as popular anisong artistes such as Ayaka Ohashi (Saya Yamabuki in BanG Dream!, Uzuki Shimamura in The [email protected]: Cinderella Girls) and Megumi Nakajima (Ranka Lee in Macross Frontier, voice provider of Vocaloid GUMI) turn up the tempo with electrifying performances. Admission is free. 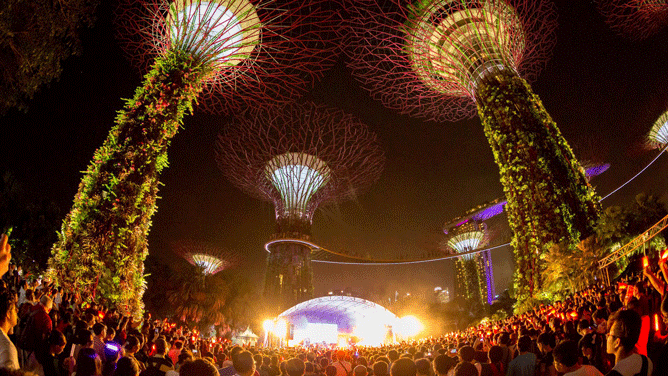 Visit Gardens by The Bay for more information. 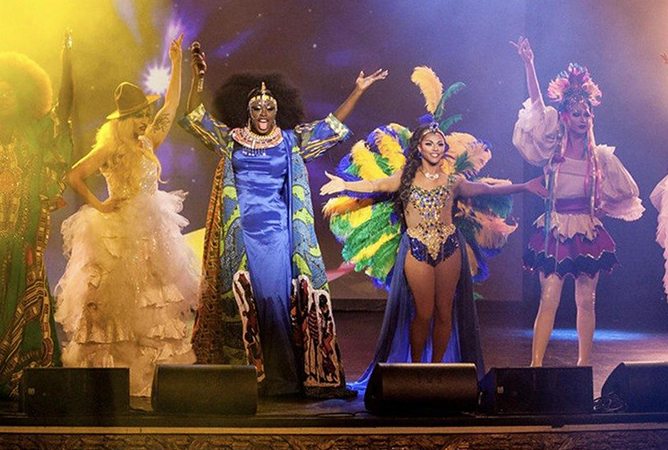 Which event are you planning to check out? Tell us in the comments below!